A seemingly innocent video of Steve Harvey‘s granddaughters has attracted unexpected backlash on Instagram. According to The Daily Mail, Monday, the talk show host’s wife Marjorie Harvey posted a clip of her grandchildren, three-year-old Elle and four-year-old Rose pretending to breastfeed their dolls with watching television in their pajamas. “Rose and Elle breastfeeding dolls,” she captioned the video along with the crying-laughing emoji. “From our boobies,” interjects Elle with a smile. The cousins probably got the idea from watching Rose’s mom, Amanda Harvey, a 25-year-old model, who is married to Marjorie’s son and Steve’s step-son Jason. The couple recently welcomed their third child, a little boy named Ezra Nehemiah, into the family and so the focus has understandably been focused on their newborn lately. Amanda has also been very open about her choice to nurse her 4 month old and that same day also posted a video that shows her talking to her followers while she breastfeeds Ezra. 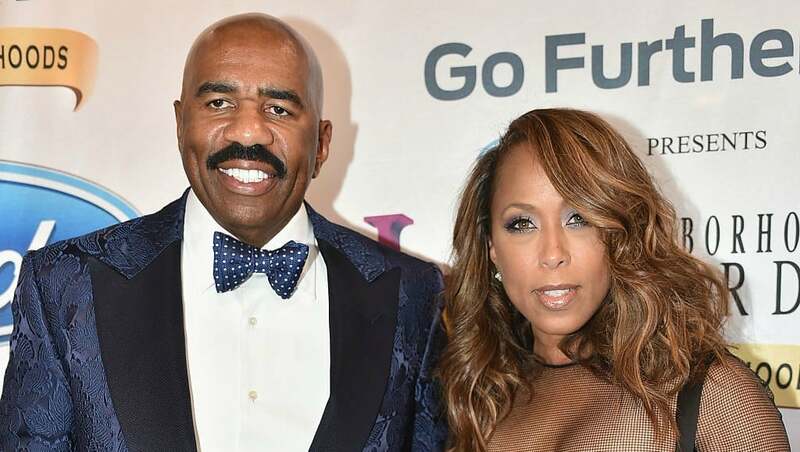 While Marjorie Harvey found the clip of the children mimicking her daughter-in-law endearing, some of her more discreet fans complained that the video was tacky and inappropriate. “She should have given them toy baby bottles to play with instead,” suggested someone else. The backlash soon sparked a heated debate between those who found it offensive versus others who saw it as a big fuss over nothing. Eventually, Harvey stepped in and addressed the varied reactions.